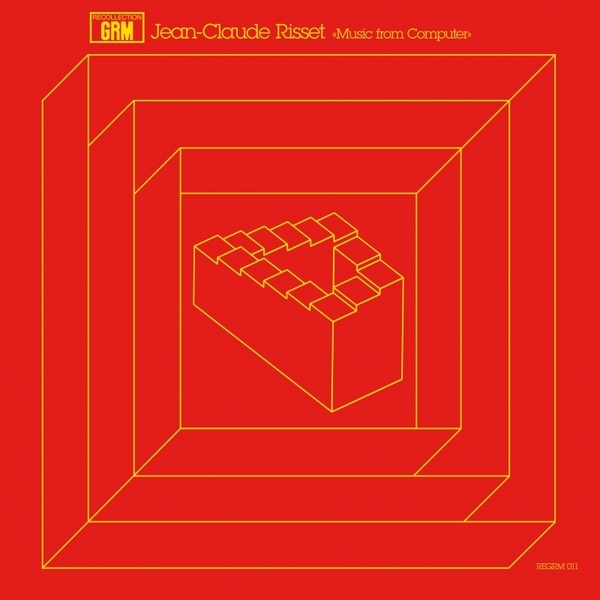 The vital Recollections GRM series yields some of its finest treasures yet from the Paris archive with three iconic, prototypical pieces of computer music by Jean Claude Risset. It's notable not least for the first vinyl pressing of the amazing electro-acoustic sonorities in 'Sud' (1985), but also two very early pieces recorded between 1968-69, marking some of the very first significant instances of computers used in the creation of sound itself, with 'Computer Suite From Little Boy' featuring sounds synthesised using the Music V program whilst working with Max Mathews at the Bell Laboratories between 1964-1968. 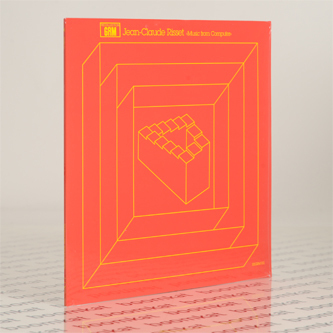 Collected on this album, they provide a dilated and invaluable overview of Risset's important reseacrh and technological innovations, employing the the unparalleled processing power of computers to discover new timbres and harmonic relations at the atomic level of sound. To start at the beginning, the aforementioned 'Computer Suite From Little Boy' (1968), and 'Mutations I' (1969) - commissioned by the GRM and premiered at Moderna Museet in Stockholm in 1970 - opened a whole new dimension of sonic possibility in its sliding glissandi and the synthesis of new timbres which simply hadn't existed prior. Some of the quirkier elements remind us of other practitioners from this era, from Louis and Bebe Barron to Vladimir Ussachevsky, but the sustained tones and pitch paradoxes - sounds which feel as though they're ascending and descending at once - still sound radical right now. The later piece, 'Sud' (1985) was commissioned by the French Ministry of Culture, and employs sounds mainly recorded in the Massif des Calanques, south of Marseille, in near seamless conjunction with synthesised sources, making for a surreal melange of bird song and scuttling insects rent as 23 minutes of spatialised tones and colourful echos with shocking juxtapositions and transitions. We think you'll agree, it's special stuff.